#StateOfTheGame is a multimedia project investigating the current British youth football system. I will be looking at England’s national training centre St George’s Park, what local clubs are doing in their youth systems, England’s island mentality, how the EPPP has effected academies and the number of coaches across different European countries. The project forms part of my final year at university and is aimed at BBC Sport following their recent investigation into the UK’s world football map. The project has no affiliation with BBC Sport and incorporates BBC graphics for academic purposes only. All my findings and work from this project will be presented here and on Bournemouth University’s internal journalism website for marking purposes. I will be regularly posting links to articles on Twitter and this website, so keep checking for the latest news! 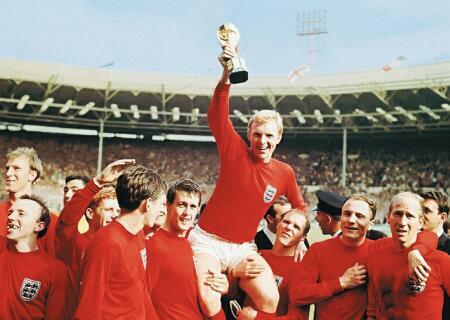 Iconic: England have failed to triumph in any major tournament since they won the World Cup on home soil in 1966. – FEATURE: Has the EPPP affected the number of English players in our top flight? Meanwhile, take part in the poll below to voice your opinion on the current issue with English football and leave a comment explaining your choice.